Redmond, Wash., USA - August 23, 2013 - Microsoft Corp. today announced that Chief Executive Officer Steve Ballmer has decided to retire as CEO within the next 12 months, upon the completion of a process to choose his successor. In the meantime, Ballmer will continue as CEO and will lead Microsoft through the next steps of its transformation to a devices and services company that empowers people for the activities they value most. The Board of Directors has appointed a special committee to direct the process. This committee is chaired by John Thompson, the board's lead independent director, and includes Chairman of the Board Bill Gates, Chairman of the Audit Committee Chuck Noski and Chairman of the Compensation Committee Steve Luczo. Steve Ballmer, Chief Executive Officer, takes the stage at Build. 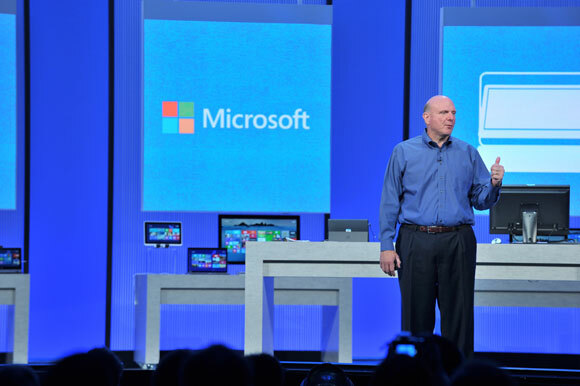 Steve Ballmer discussed Microsoft’s devices and services strategy and highlights the company’s commitment to developers onstage during Microsoft’s developer conference Build. Microsoft Corp. today announced that Chief Executive Officer Steve Ballmer has decided to retire as CEO within the next 12 months, upon the completion of a process to choose his successor. In the meantime, Ballmer will continue as CEO and will lead Microsoft through the next steps of its transformation to a devices and services company that empowers people for the activities they value most. Microsoft Chief Executive Officer Steve Ballmer speaks to attendees during the 2012 Microsoft CEO Summit. “There is never a perfect time for this type of transition, but now is the right time,” Ballmer said. Microsoft Chief Executive Officer Steve Ballmer. The Board of Directors has appointed a special committee to direct the process. This committee is chaired by John Thompson, the board’s lead independent director, and includes Chairman of the Board Bill Gates, Chairman of the Audit Committee Chuck Noski and Chairman of the Compensation Committee Steve Luczo. The special committee is working with Heidrick & Struggles International Inc., a leading executive recruiting firm, and will consider both external and internal candidates. “The board is committed to the effective transformation of Microsoft to a successful devices and services company,” Thompson said. “As a member of the succession planning committee, I’ll work closely with the other members of the board to identify a great new CEO,” said Gates. Steve Ballmer is CEO of Microsoft, headquartered in Redmond, Wash. He joined Microsoft in 1980 and was the company’s first business manager. Before becoming CEO in 2000, his roles at Microsoft included senior vice president of sales and support, senior vice president of systems software and vice president of marketing. 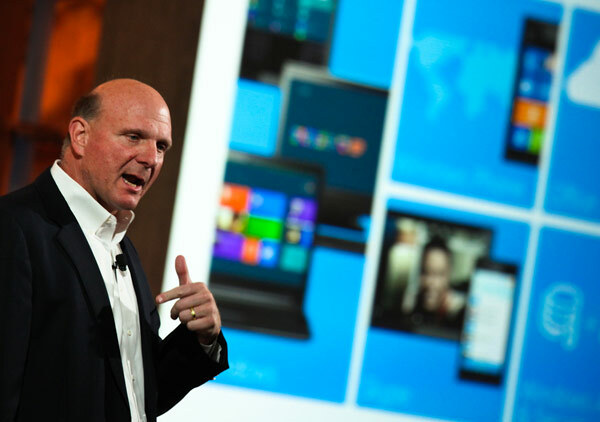 Ballmer and the company's leaders focus on creating a family of devices and services for individuals and businesses that empower people around the globe at home, at work and on the go, for the activities they value most. Under his leadership, Microsoft has more than tripled revenue and doubled profits since 2000. Ballmer was born in March 1956, and he grew up near Detroit where his father worked as a manager at Ford Motor Co.
Ballmer earned a bachelor’s degree in mathematics and economics from Harvard University. He worked for two years at Procter & Gamble Co. as an assistant product manager and attended Stanford University Graduate School of Business before joining Microsoft. On August 23rd Steve Ballmer announced his intention to retire. Please see the press release for more details.